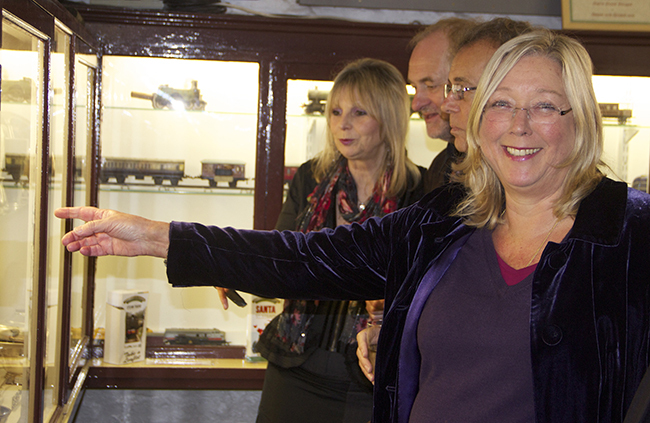 The South Devon Railway Trust Museum officially launched its collection of tableware on Wednesday 30 October 2013. Although most of the items have been on display for much of the 2013 season, work to display and interpret the collection has been completed only recently. There are three parts to the collection. 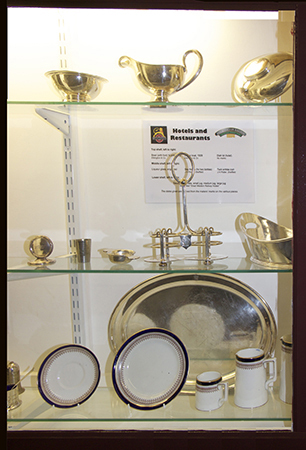 Part, including some cutlery and crockery, was collected by the late Colin Treglown, and has been loaned to the Museum by his son Peter, who is a Director of the SDR Trust. Another portion comes from the former Paignton & Dartmouth Railway Society, who have also donated their collection. It includes cutlery, condiment sets and other items that were once used by the Great Western Railway on its restaurant cars and in its cafés and buffets. The third part of the collection comes from the late John Evans, a founding director of the Dart Valley Railway. 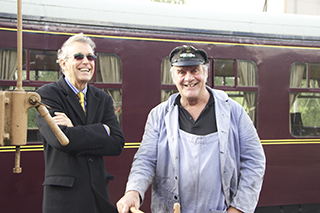 A life-long railway enthusiast, he was involved with the Ashburton branch from the earliest days of railway preservation, and later with the Paignton to Kingswear line. His daughter, Susan Johnston, has now generously donated the collection to the Museum, and today performed the ceremony to launch its display. Accompanied by members of her family and a number of other guests including Rowena Houghton (Bob Saunders’ daughter), Barry Cogar, Richard Elliott, John Haslam and several SDRT Museum Support Group volunteers she unveiled the collection. 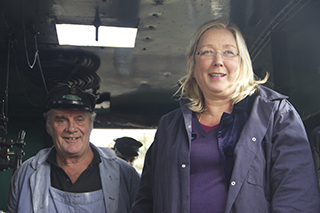 All in all, a very good day for the South Devon Railway – and the trains were really busy too!